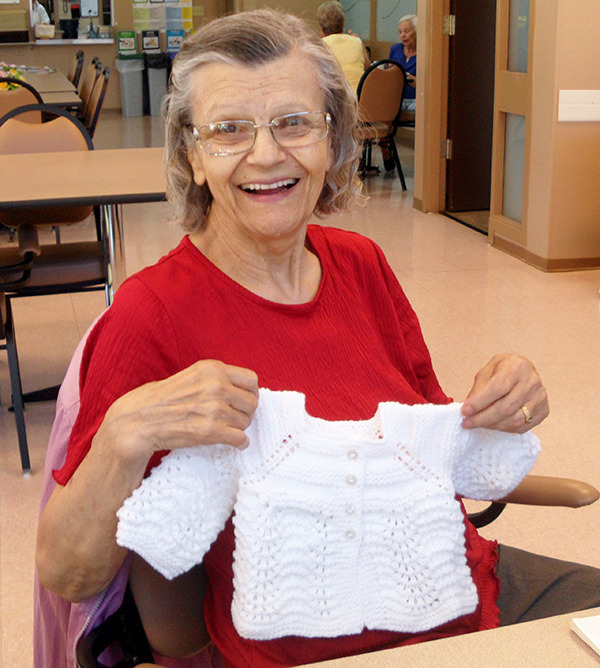 Aug. 18, 2016 7:00 p.m.
Eleven new and vulnerable families in Delta, Surrey and White Rock will be receiving hand-knitted layettes (sets of clothing, toilet articles and bedclothes for newborn children) thanks to knitters from the Kennedy Seniors Recreation Centre. Lil Jones, Colleen Hopkins and Mary Hillen started knitting baby sweaters and blankets last Christmas after learning about the need for donated newborn clothing in the Lower Mainland. The idea came indirectly from the group’s work on another charitable project: knitting purple baby hats to raise awareness of newborns’ “purple crying period” and to support shaken baby syndrome prevention. Each layette comes with a baby sleeper, a blanket, a sweater set and accessories such as hats and bibs. Money for materials like yarn and buttons came entirely from donations collected by Jones. 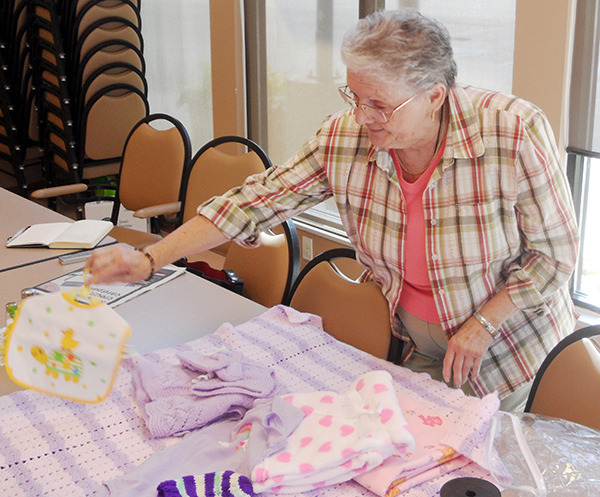 The layettes will be distributed to vulnerable families through Healthiest Babies Possible, a pregnancy outreach program provided by Options Community Services. Jen Mantyka, program manager for Healthiest Babies Possible, said the program has 300 participants in Delta, Surrey and White Rock. Healthiest Babies Possible provides health education and support – including home visits and weekly groups – for new and expecting families. The program also aims to connect participants to other social services, such as B.C. Housing. 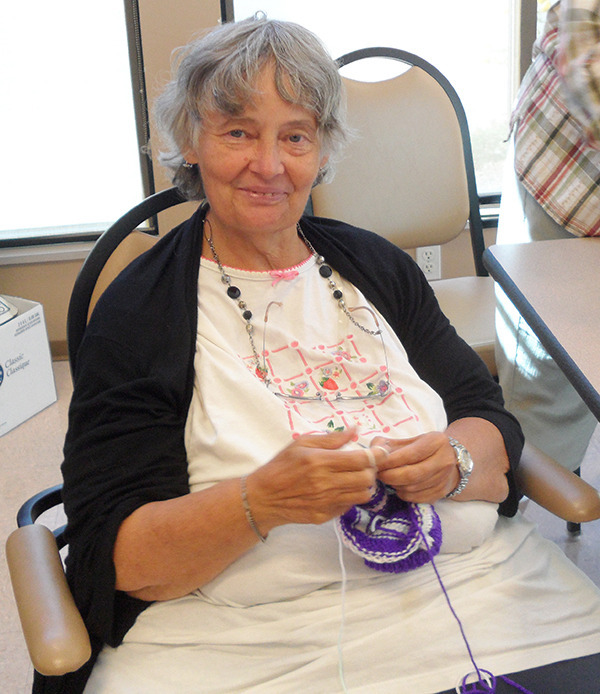 Hillen, a volunteer knitter and project coordinator, said the timeline for a completed sweater varies, depending on her arthritis. “It used to be a week, but now it’s about two weeks.” said Hillen. Hopkins, another volunteer knitter, explained that this knitting initiative is not the first for the Kennedy Seniors Recreation Centre. “We do the purple hat campaign, we do the layettes, there’s also the group that does the scarves and hats and lap rugs for Deltassist. We collect Campbell’s Soup labels for schools and pop tabs for the cancer society,” said Hopkins. “We’re just glad that we can do something to help someone else – pay it forward, as they say,” added Jones.